To enter the U20 Championship, Chrono must find two other fighters and form a team with them. He recruits Taiyou but has yet to find a third member. Later at the card shop, Chrono meets an apathetic teenager named Kazuma Shouji, who also attends Harumi High School. He claims to have previously played Vanguard and requests Chrono to teach the game’s rules to him. 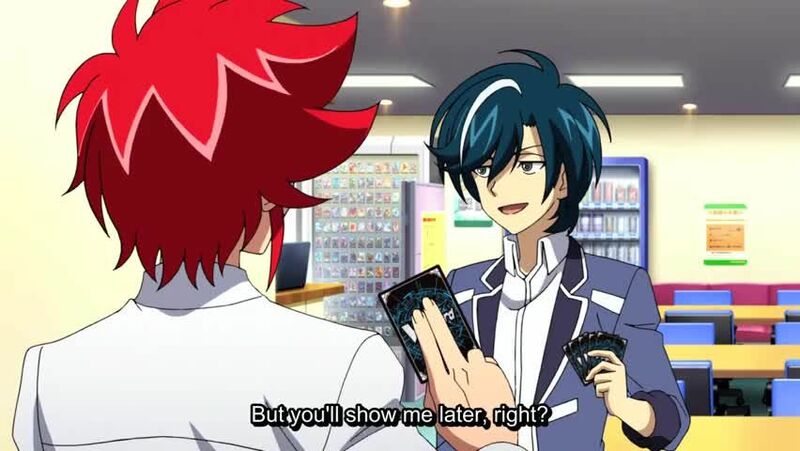 So, Chrono has a teaching fight with Kazuma, who slowly is reminded of how Vanguard is played. Despite acting nonchalant to most of Chrono’s teachings, Kazuma becomes motivated when he gets the chance to stride. However, when Chrono tries to win on the following turn, Kazuma decides to quit, believing he already lost. Chrono tries to tell him to never give up until the very end and to believe in his own possibilities. He shows Kazuma that he would have gotten a heal trigger to help him, but he suddenly gets defensive upon touching his card. He then leaves, and Chrono wonders why Kazuma acted the way he did.